How far would we go for beauty? Do we really need to suffer for beauty? Granted, many of us would actually go very far, especially if the unpleasantness is short-lived. But who would knowingly accept these dangers regarding their appearance? And what if health and beauty both suffer in the long term? What if the skin looses its ability to regulate itself or develop allergies? An example: In a BUND (Friends of the Earth Germany eV) study , more than 60,000 skincare and cosmetic products were tested for endocrine disruptors. The result is shocking: disruptors were found in 30% of all tested products such were found, and even more of these disruptors were found in one of five products. Hormonal substances are associated with health risks such as reduced sperm quality, testicular and breast cancer, and premature puberty. Cocktail effects that may arise from the use of multiple substances with similar activities, are rarely taken into account by the risk assessment of the EU and their health risks are difficult to estimate. Parabens such as methyl or propyl paraben synthetic preservatives are widely used to inhibit bacteria and fungi. 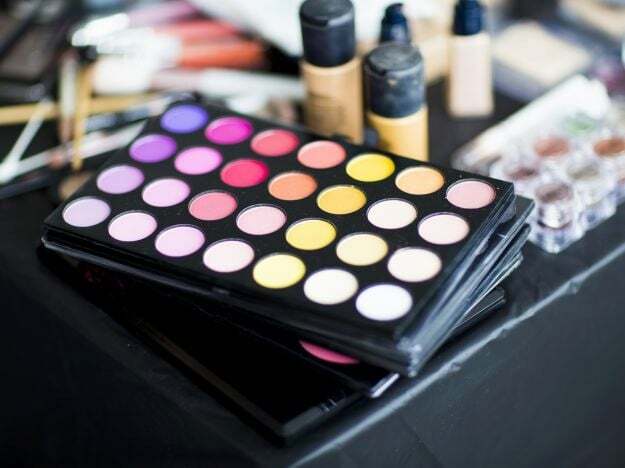 Since they are included in many cosmetic products, consumers are often exposed to greater amounts of it. The substances have an hormonal effect, release allergens and are associated with cancer. Parabens penetrate the skin's barrier, are distributed in the body and have even been detected in breast milk. Other endocrine disruptors are chemical UV filters such as ethylhexyl methoxycinnamate (OMC). Common preservatives are formaldehyde releasers (e.g. imidazolidinyl, bronidox or bronopol). As the name implies, these substances form formaldehyde under certain conditions. Formaldehyde is highly irritating, a strong allergen and carcinogenic. Cheap cosmetic ingredients such as mineral oil, paraffin oil, paraffin wax or petroleum jelly are produced from crude oil. These water-insoluble substances seal off the skin, minimizing the removal of pollutants and waste, as well as perspiration. There are thousands of ingredients used in cosmetics that are subsumed under the term "perfume" or "fragrance". Several of these substances have irritating, allergenic or even carcinogenic effects. Nitro and polycyclic musks are popular common synthetic fragrances - some substances from this family accumulate in the body and are considered to be mutagenic and neurotoxin. Emulsifiers (surfactants) stabilize emulsions. Sodium lauryl sulfate (SLS), polyethylene glycol (PEG) and its derivatives are commonly used in cosmetics. They degrease, irritate, and cause allergenic reaction. Furthermore the disturb the skin barrier thus increasing the risk of associated pollutants, and may, together with other ingredients in cosmetics, form carcinogenic substances. Fortunately, alternatives are available. PURE SKIN FOOD products contain only high-quality, organic and vegan ingredients - as a matter of principle!